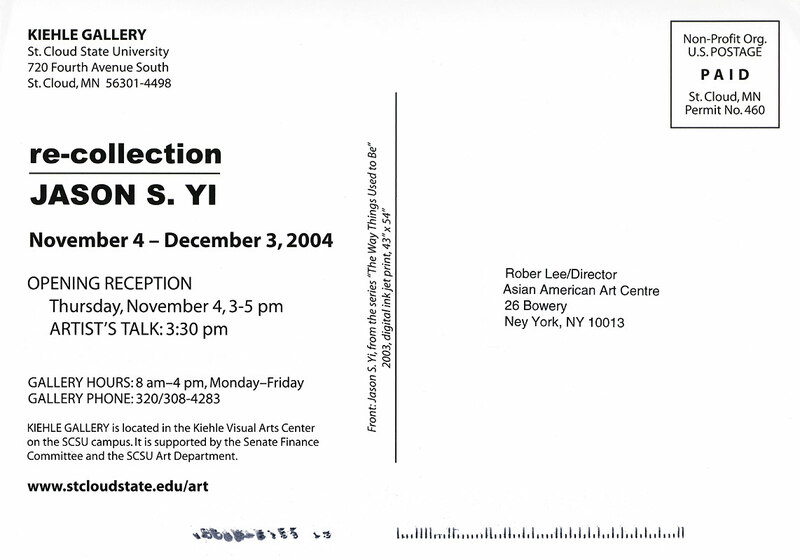 Exhibition postcard for "re-collection: Jason S. Yi" at Kiehle Gallery, St. Cloud State University, St. Cloud, MN, from Nov. 4-Dec. 3, 2004.